Our subscriptions are not cumulative. Buying any of these subscriptions will not extend your current subscription. It will reset the clock. 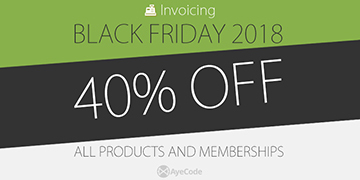 Take advantage of the UsersWP and Invoicing Black Friday sale too. We are offering a 40% discount for them too!